You may not have noticed, but a revolution is underway in archaeology. In the recent years, archaeologists have begun to integrate new methods from the natural sciences, helping us to date archaeological remains and revealing the source of these remains at a new level of detail. These new techniques provide archaeologists like myself with new ways to investigate ancient materials. But they also introduce problems: How exactly should we analyse all of this material with these new, often expensive, techniques? This is what my colleague Søren Sindbæk and I have been tackling at the Centre for Urban Network Evolutions (UrbNet) at Aarhus University, Denmark: And we call our approach "High Definition Archaeology." So what exactly is High Definition Archaeology? In essence, it's where we look at defined groups of material or stratigraphic sections (specific parts of an excavation) in very fine detail. Through such an approach we gain completely new insights into how and when certain events changed the world. At UrbNet we investigate such situations in the context of urban societies, since becoming urban was a turning point in human history. Early urban societies have fascinated people for centuries. Why is that? For archaeologists, they provide a lens through which we can describe urban phenomena and patterns, and studying them can help to explain why human beings came together to live in organised larger spaces in the first place. Today more than half of the world's population live in cities and the planet is dominated by cities of various sizes and character. Urbanisation is rapidly growing and numerous government committees oversee the planning of urban expansion and the founding of new cities. China for example found new cities on a daily basis. Some of them fail and people do not want to live there. It's clearly an economic advantage to figure out what makes a city successful and a place in which people want to live. Archaeology is one way of coming to a more nuanced understanding of how urban societies worked in the past, which may in turn help us understand what works and does not work in modern urban societies. How do you study a dead city? A good example is the early urban societies of Mesopotamia, which arose as early as the fifth millennium BCE. These were some of the earliest urban societies that we know of anywhere in the world. But in many ways we know little about these vast spaces, whose archaeological remains yield information about our own past at a time we call prehistory – before written sources existed. One reason why we know so little is that these first cities no longer exist today. It's one thing to excavate Copenhagen, London, or Rome. But what about societies that died out thousands of years ago? Studying dead societies presents a certain challenge, since there is no one alive to speak to who actually lived in these societies. We have to reconstruct everything through excavation, which is destructive and invasive and requires objects to be removed in order to study them. Archaeology often offers a snapshot of a moment in time and we often have just one chance while excavating to get the understanding right. This is where the high definition approach comes in. 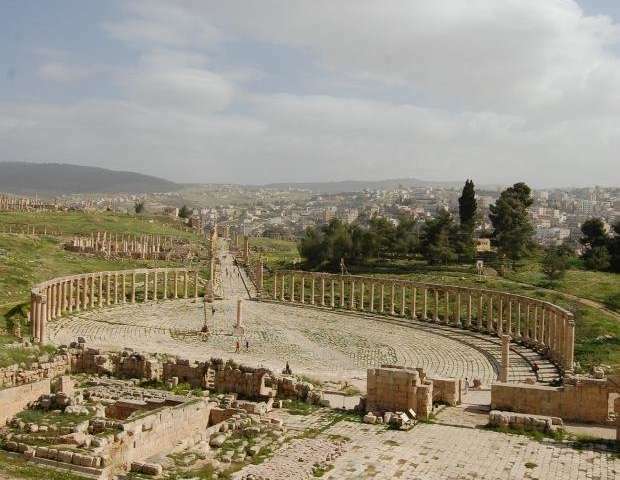 In North West Jordan, the Danish-German Jerash Northwest Quarter project has been excavating the ancient city of Gerasa since 2011. Gerasa, which also was called "Antioch on the Chryssorhoas" in antiquity, Antioch on the Golden River, was part of the Decapolis, a union of cities described by Pliny as more than the ten which the name implies. The city was divided into two parts by a river, with bridges built to connect the east and west sides. The city flourished in the first eight centuries CE, until a devastating earthquake brought life to a sudden halt on the morning of 18th January 749 CE. The earthquake is described in sources as having destroyed large parts of the Levant, and Gerasa was no exception. And today, the remnants of the city record a moment frozen in time when the earthquake hit. 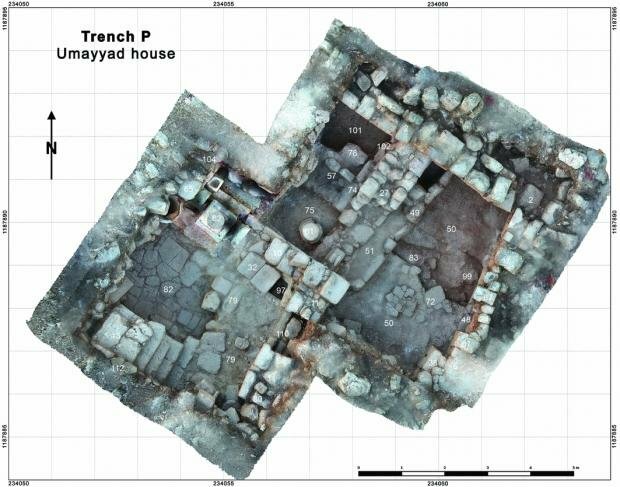 A series of houses were excavated by the Danish-German team and we now have a detailed picture about a transitional period in time between the Arab invasion of the region in the 7th century CE and the end of Umayyad period in the middle of the 8th century CE. 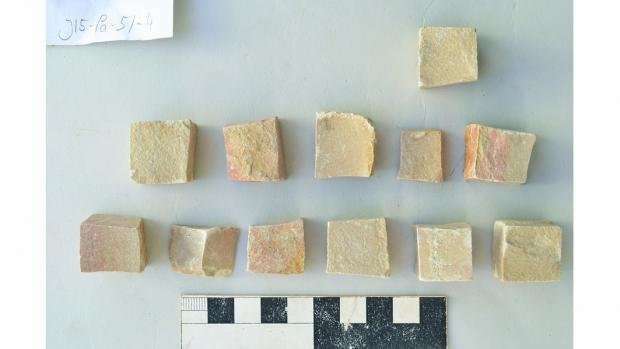 Organic material has been radiocarbon dated and classified, and we discovered a mosaic workshop, using technology known from the Roman period in a representative house undergoing major restoration. We digitally "unfolded" a small silver scroll with Semitic letters, which turned out to be inscribed with Greek ritual letters and 16 lines of early Arabic letters, presenting us with a straight continuity from Roman traditions of magic in the early Islamic period. We cannot see the overall plans and layouts of these spaces, but all of these detailed archaeological findings give a rich picture of everyday life and daily practices in Gerasa and connect us almost directly with the inhabitants of this Middle East city at a time of both continuity stemming from the Greco-Roman cultural heritage and new developments following the Arab invasion. The high definition approach taken to the archaeological material in the excavation has proven a useful line of enquiry, which offers new understanding of urban societies and their development in antiquity. Archaeology has come a long way since the 20th century when sites mentioned in ancient sources and the bible were rediscovered and placed on the map, and large scale urban excavations got underway. Many of these were paid for by kings and emperors in order to underline the importance of European nations to world history, and the Roman period fascinated the scholars undertaking these extensive excavations, in particular. Since then, Scholars such as Die Stadt, Max Weber, and Gordon Childe, have written influential accounts of how to understand what cities do to people and vice versa. However, much of this was very much based on a protestant world-view – one which cannot necessarily be transferred to non-European urban settings. Today, High Definition Archaeology promises to revolutionise the way in which we understand past urban societies and their networks and thereby also better understand the dynamics of these societies and how it compares to our modern urban societies.